A quintessential item for American Equipage. A product for a soldier and workingman alike. Made with the action elastic waistband for easy movement & plenty of pockets to keep the hands-free thing going. 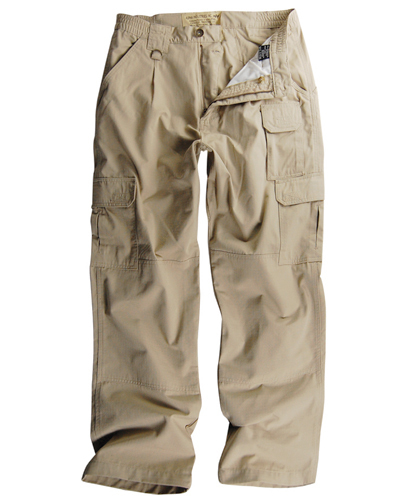 These Brigade Pants are also double stitched for strength & are virtually indestructable. These pants are extremely comfortable and long lasting. -Tough 65% poly / 35% cotton rip-stop fabric.